If you could have a drink with anyone in the theater world, who would it be? 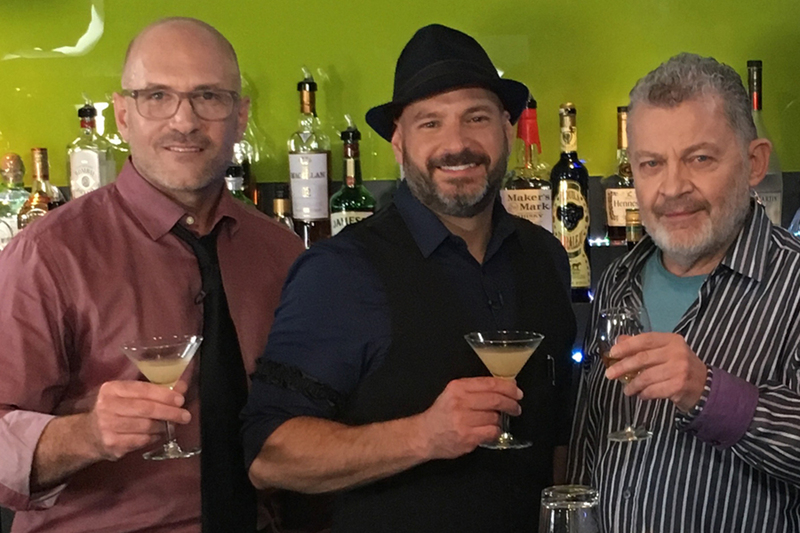 In this episode of Broadway Bartender, host Anthony Caporale welcomes the cast of JIMMY AND CAROLYN to the bar! JAMES ANDREW WALSH (Playwright) co-wrote the Broadway bound Liberace bio-musical, All That Glitters. Other credits include: TV comedy pilot Welcome Home, Jeanie Darling, and the limited series pilot for The Gods of Newport, based on the John Jakes bestseller of the same name. James is currently directing the national tour of the HIV/AIDS-themed immersive theatre experience As Much As I Can, commissioned by GlaxoSmithKline. He has acted in national tours and productions of numerous plays/musicals regionally and in New York City, and been seen on TV in The Family, Brooklyn Taxi, Castle, Shine, and Law and Order (SVU, Criminal Intent). SAM TSOUTSOUVAS (Jimmy) has appeared on Broadway multiple times, most recently in the 2001 production of Andrew Lloyd Weber's BY JEEVES. A veteran of stage and screen, Tsoutsouvas' career includes the feature film THE IMMIGRANT with Marion Cotillard, a guest role on LAW & ORDER: CRIMINAL INTENT, and as the voice of a talk radio host in the video game GRAND THEFT AUTO: SAN ANDREAS. Tsoutsouvas recently completed filming for the pilot episode of ADULT BEHAVIOR, A New Television series.